By clicking on the "Add?" 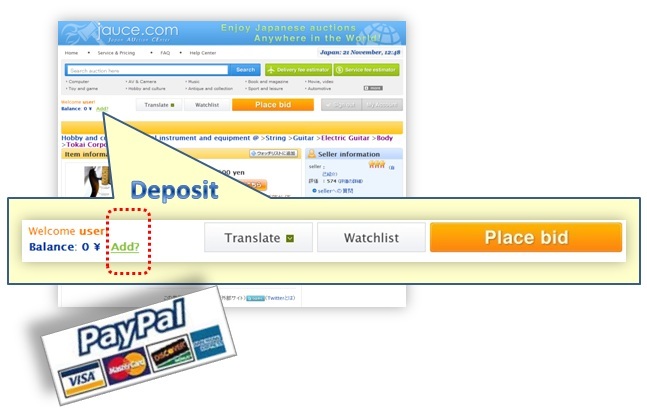 button, you'll be taken to PayPal website where you can deposit funds through your PayPal account or credit card. Before you place a bid, we strongly recommend you read "How to avoid troubles?" article. The bid amount field will be displayed on the left of the bid button; Enter the maximum amount you are willing to pay and submit. 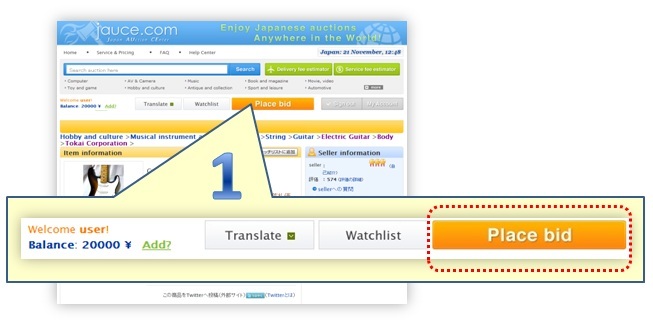 In the confirmation step, check the auction details displayed, select the confirmation check box and then submit the "confirm" button. 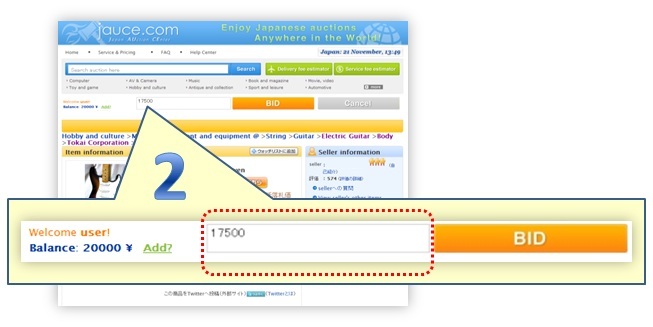 If you win the auction, we will contact the seller and process the auction. Our system will debit the processing fees into your account. You don't have to deposit at this stage, you can deposit all the overdue amount at once just before the item is sent to you. 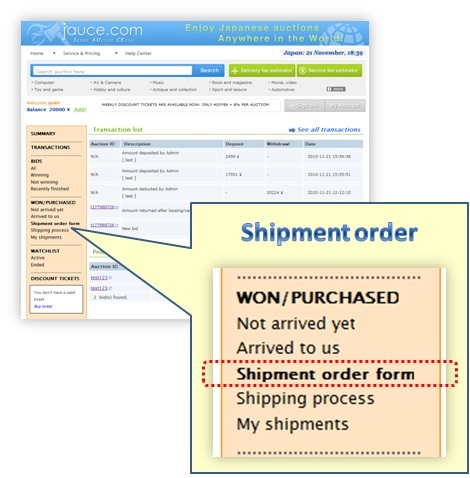 When the item arrives to us, our system will notify you by an email. Then, you can enter a shipment order through the member area and we will start the shipping process.